"Remember man that you are dust, and to dust you shall return." These words, which derive from the Book of Genesis, were spoken in the liturgy on Ash Wednesday when ashes were placed on the foreheads of the faithful. We naturally begin this season of Lent with a contemplation of our death. 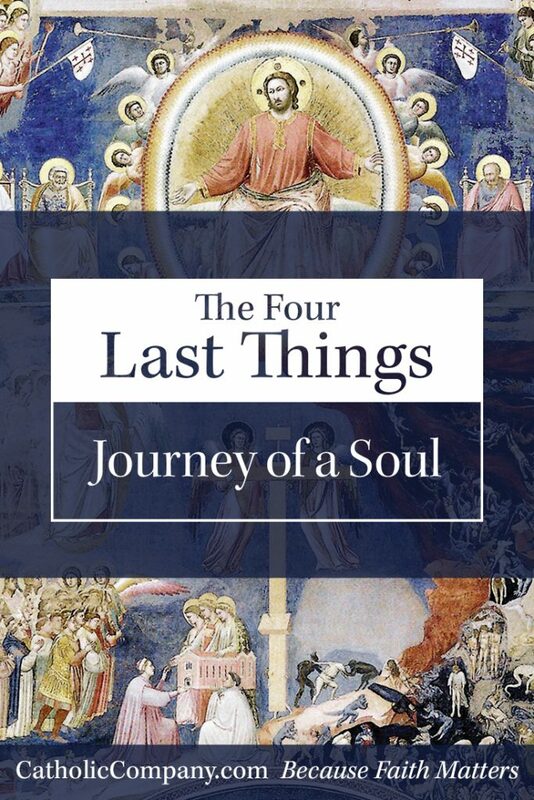 Join us for an in-depth 40-day journey through the Church's teachings about Death, Judgement, Heaven, and Hell in our digital content series, The Four Last Things: The Journey of a Soul ($24.95). In this series, you will learn how God has created the world and the human soul, the journey of the soul as it transitions from this world to the next, and the final destiny that awaits the good and the bad. Through the detailed explanations in this series, you will begin to see life as God sees it and gain a better understanding of the great importance of your every thought, word, and deed. Saint Teresa of Avila, in the Interior Castle, says that it is not often enough that we contemplate the beauty of our soul. She says that when we neglect our souls and He who dwells within them, we do not preserve their beauty. One way to do this is to dig deeper into the Church's teaching on The Four Last Things. What will your eternal destiny be? There is no better time than now to prepare your soul for eternity by studying the awesome truth that God has revealed to us through His Church. Click here to order the digital content series now. Was this a free series pre-Lent? At bible study tonight we learned about this study. I wsnt to learn snd grow closet to Jesus! Thsnkuou for allowing me to join you. Whitney Hetzel is a wife, mother of nine children, homeschooler, and catechist. Passionate about her Catholic faith and physical fitness, she trains for marathons and triathlons and blogs at 9kidfitness.com to help other women stay healthy and fit while juggling the demands and joys of domestic life.